There are whey proteins and then there are advanced whey proteins. Know the difference between two and read the top 3 ways in which advanced whey proteins further your fitness goals. Many queries come to your mind if you are a first timer with whey. Though whey protein looks like a powder, it is extracted from cow?s milk. So pure is whey protein, that it is even included in baby foods. Cow's milk has two components: casein and whey. Casein forms 80 percent of the milk and whey is the remaining 20 percent. Whey is the watery liquid and it gets separated during the cheese making process. It undergoes microfiltration before it reaches you in the form of a tub. Since the pores in these filters are microscopic, hence the name. 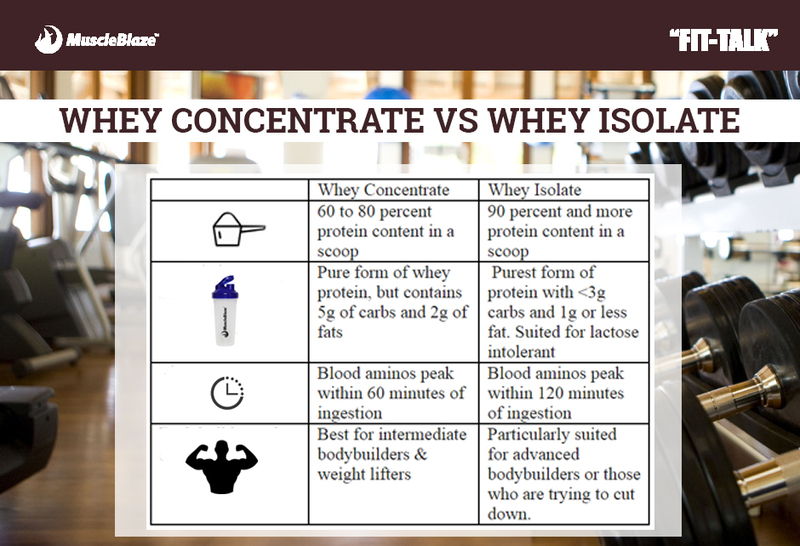 Whey protein gets bracketed into whey protein concentrate and whey protein isolate depending on the presence of protein percentage and the difference in reaction time in these protein forms. Whey Protein Hydrolysate is a pre-digested form of protein. It is slightly bitter in the taste and reacts faster than whey protein isolate. Super whey protein is for fitness enthusiasts and professional bodybuilders who demand more from their whey protein. For them physique, stamina, strength matters and every rep and set is going to make a difference. Performance matters for them big time. They are usually elite athletes, professional bodybuilders, but can be fitness enthusiasts as well. Super whey protein contains a mix of vitamins, minerals and other ingredients such as creatine. Whey is a rich source of glutathione, the most powerful antioxidant present in every cell. Glutathione maximizes the activity of other antioxidants, including vitamin C and E, as well as fresh fruits and greens. It removes toxins from cells and protects you from the damaging effects of environmental toxins, chemicals and radiation. Add to the strength of glutamine, energy of vitamins and minerals and you get a protein known as super whey protein. The essential vitamins and minerals that athletes lack are Vitamin B, calcium, zinc, vitamin C, D, E and magnesium, which significantly affects power and performance. Athletes who have low-level of vitamin B do not have the energy to continue those last few reps. The body uses vitamin B to convert protein and sugar into energy and to produce red blood cells. Calcium helps improve bone density of workout warriors, which is good. Supplemental vitamin D pumps up your power. 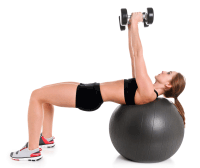 Did you know an hour of working out could deplete 5.7 percent of your level of iron? This mineral helps red blood cells carry oxygen to muscles. Losing too much of your stores can result in iron-deficiency anemia, which causes fatigue and zaps your endurance during lengthy sessions. Magnesium is a powerhouse for weekend warriors to pro endurance athletes alike. This mineral is involved in energy metabolism and allows you to work out for a longer duration, without getting tired. Added vitamins and minerals in whey protein fill in the dietary and workout deficiencies, such as MuscleBlaze Whey Energy. 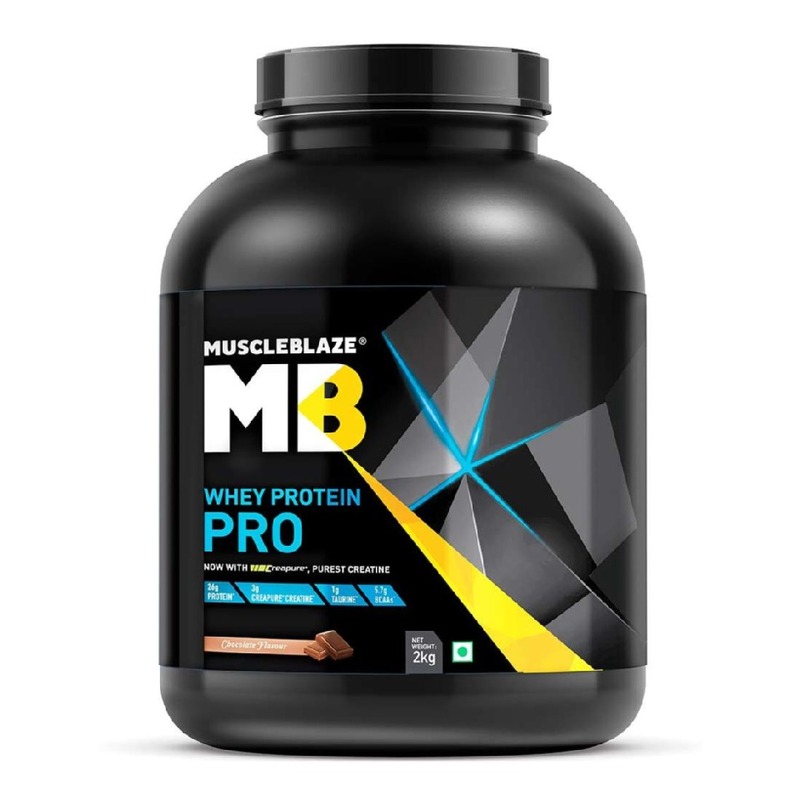 The powerful combo of whey protein and multivitamins allows the fitness enthusiasts to gym longer and train harder, thereby helping them achieve their fitness goal. Scientifically engineered whey proteins are for professional athletes and pro bodybuilders who demand extra from their protein shake. 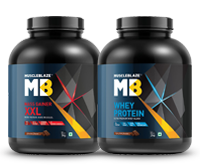 Mostly, these whey proteins offer in a scoop a blend of whey proteins along with creatine and glutamine. 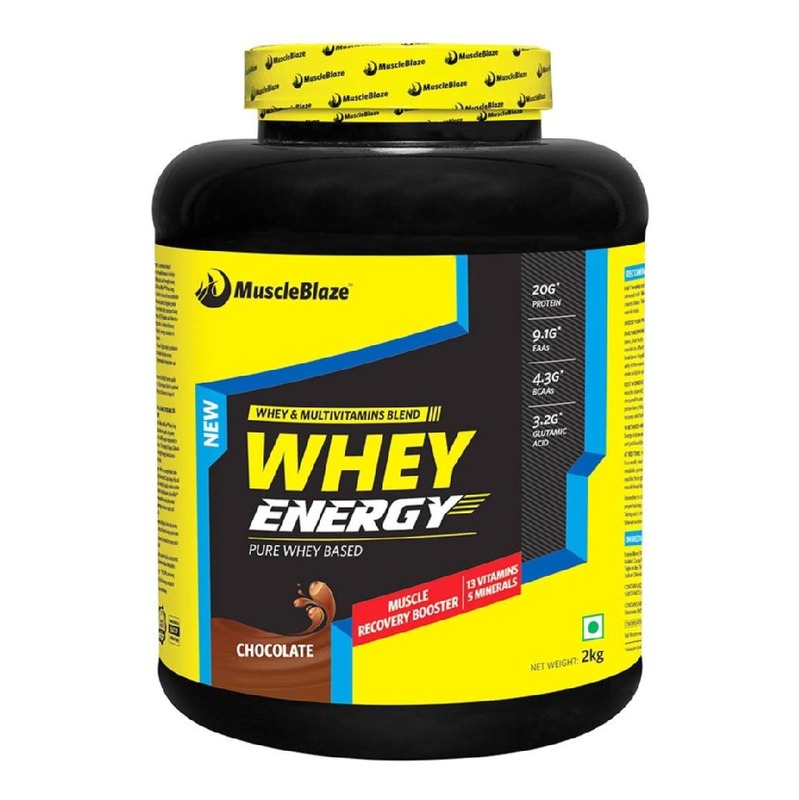 Whereas a regular whey protein will serve 20g whey proteins, primarily from concentrate, a super whey will offer more than 25g whey proteins from quicker acting sources, like isolate and hydrolysate. The power of creatine in these whey proteins gives the user explosive energy required to sustain through one more rep or finish the last leg of his marathon. In the human body, ATP works as the energy currency and creatine helps to recharge that energy currency. The strength of creatine is also visible in boosting muscle size, strength as well as improves performance. Glutamine minimizes muscle breakdown and improves immunity. It allows you to train for a longer duration and helps achieve greater exercise intensity. Drinking whey protein is as good as digesting it. Whey protein stays in your intestine only for 1.5 hours. Frankly speaking, this is the time window, a muscle builder has to put his whey protein shake to use. After this duration, unabsorbed whey protein will go down the drain literally. In an hour only 8-10g protein is digested. Therefore, your whey protein shake needs support from digestive enzymes to increase the rate of protein absorption. Digestive enzymes include proteases, lactase, cellulase, lipase and lactase. The bunch of these enzymes ensure superior absorption of proteins and other nutrients in the body to fuel muscle gains. A July 2008 study published in the Journal of Sports Nutrition reported that drinking whey without digestive enzymes takes four hours to increase blood amino acids concentration by 30 percent. However, mixing whey protein with digestive enzymes increased the absorption rate by 127 percent in the same time frame. Look beyond the ordinary and choose the whey protein according to your fitness goal. The results are going to surprise you. Four reasons to include BCAAs in your muscle building arsenal? Find it now.